A round-up of articles on self-made millionaires and their journey to success. 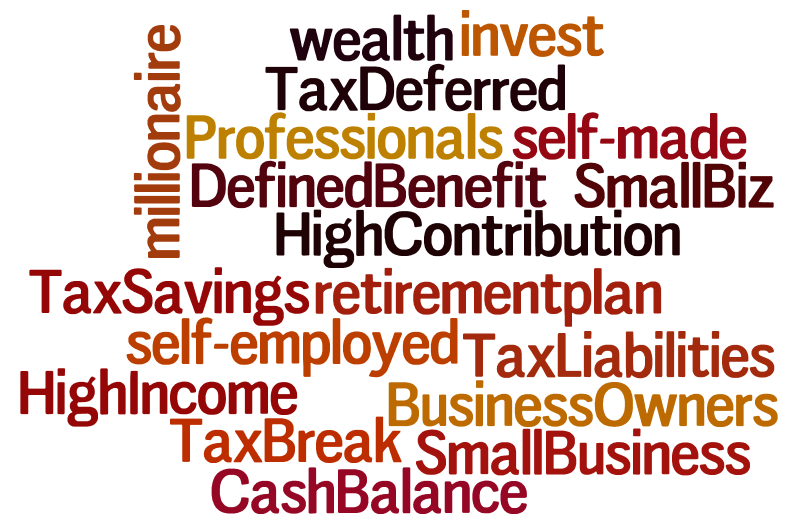 Check out our Client of the Week section for high-income people who opened Defined Benefit Plans to save on taxes and build wealth. Two millennials who achieved millionaire status share their wisdom on what it took to get there by their 30s. Real estate mogul and self-made millionaire Barbara Corcoran, a celebrity on ABC’s “Shark Tank” might have more than enough money to afford first class, but the budget-conscious entrepreneur reveals she still flies coach if she has to pay for the flight. “I always fly economy if I’m paying the tab, because I’m too cheap to spring for an expensive ticket,” Corcoran says. Author Tom Corley, an internationally recognized authority on habits and wealth creation, says the key to becoming rich is to or becoming financially independent boils down to a two-step process: Accumulate wealth and keep the wealth you’ve accumulated. While most of the richest women featured in Forbes’ list inherited their fortune, dozens of these women business magnates were self-made. This year was particularly positive for women billionaires, who numbered at 256 out of a total of 2208 entries -an all-time high. Seventy-two female billionaires were self-made, up from 56 last year. Tahani Aburaneh is a real-estate mogul and entrepreneur who has founded five companies, including a development company, an investment company, and an educational initiative called Tahani International. When she looks back at her humble beginnings and her journey to success, she can’t believe it herself.